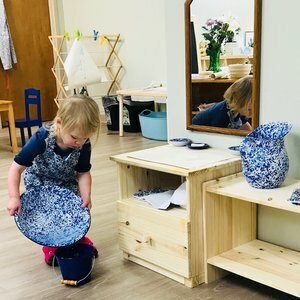 We are honored that you are considering Twin Cities International Bilingual Montessori School as a partner in assisting your child's development. We look forward to introducing you to our educational philosophy, approach and school values! Schedule a tour here. Tours take usually from 30 to 60 minutes during which we will discuss our Chinese-English immersion Montessori approach, your goals for your child, and any questions you may have. We strongly recommend that this be an adult only tour so that we are able to focus on your learning and understanding of our school and the Montessori approach of education. If the offered times do not work with your schedule, please contact us directly to arrange for a tour. If you prefer to speak over the phone first, simply call us at (612) 888-4562. Or you can always contact us by filing out the form below or by email at info@tcimontessori.org. Complete the provided application forms and return them to us. Admissions continue on a rolling basis, but in our commitment to build the environment the right way, we are limiting the number of children we are admitting for the 2018-19 School Year, and will continue to control the growth of the class sizes. Upon receipt of the application, your child will be invited for a visit. This is an opportunity for him/her to experience the environment and meet the guides (teachers). If enrollment is extended to your child, return your signed enrollment contract and enrollment deposit. Upon receipt of your enrollment deposit, we will hold a place for your child in our program. Join the wonderful community of like-minded parents, attend a School event, Parent Education event or connect with us on social media.